“For the Skater, By the Skater” — a derby mantra that’s stood the test of time. While there’s no doubt that this sentiment still rings true, there’s one key ingredient that any successful league can’t overlook: our fans and supporting community. Straddling the worlds of the skaters, spectators, and the small army of volunteers that support both, is Kathryn Howard, Rose City Rollers’ Events and Facilities Manager. This week we sat down to chat with her about how to put on a killer event, and what keeps fans coming back for more. What is your background and how did you come to roller derby? I worked in events for 15 years, eventually owning my own company, which at its height had eight employees. We’d support commercial clients and organize special events, like pop-up art galleries. After I burnt out on owning the business, I found myself looking for a job in events with a nonprofit that didn’t involve fundraising, which is a tall order. A few friends recommended that I apply for the position that I currently hold. It didn’t even occur to me that Rose City Rollers had staff positions!! What is the typical rhythm associated with planning an event? Live events are always going to have last minute pivots: nothing seems completely buttoned up until about two hours before the doors open. We do as much pre-planning as we can in terms of making sure that we’re staffed up but there always seems to be something that comes up in real time that I need to prioritize around, or just decide to “let go of”. Which committees do you work with most frequently, and how have the processes associated with working with those committees evolved since you’ve been the Events and Facilities manager? I work with the marketing committee, league officials, high-level production folks (the announcers, the DJ, the videographers), the junior programs coordinator (for juniors’ bouts), and the volunteers on the event production staff. More than anything, the tone of the interactions has calmed down, people are working together much better. Derby attracts strong, committed, passionate people, and there’s always learning curve when a new person is introduced to a team or a process, people often want to have ownership. I’ve personally made mistakes and learned from them—and owning those mistakes to my team has earned me their trust. I’ve learned a lot about rankings and competitive matchups—things I knew nothing about coming into the job, and am able to help inform and guide those conversations more to keep the fan experience engaging. The important thing to remember is that everyone is given the benefit of the doubt, we assume that people are bringing their best, and that everyone wants to create the best possible experience for the skaters, the officials, the volunteers, and the fans. Remembering that we are all working for the same thing keeps the boat afloat. As roller derby matures as a sport, how do you help guide the fan experience changing? Our non-League fans want to see the competition, but they also want to see individual skaters; and the team personalities. As the Event and Facilities manager, I try to notice new groups and fans in the crowd and ask the announcers to give them a shout out; ask Purple Reign (our amazing fan engagement volunteers) to spend a little time with them to teach them about the sport; or maybe help them get photos of themselves at the bout. Skaters who are watching a bout as fans present a huge opportunity to improve the fan experience. I try to be strategic in terms of asking skaters—regardless of their skill level—to sit with fans. Skaters know the ins and out of the sport better than most fans. Their insight and enthusiasm can help convert someone who bought a ticket for one bout into a regular and then maybe a season ticket holder. We have to create fun experiences for the people who come to see our skaters play; their support is critical to sustaining our league and the sport. At our January Games, we had almost half the room raise their hand to note that this was their first time at derby! Improving concessions, our check in service, and our bar is always at the top of my list. If you were to offer up a couple pieces of advice to a league looking to make event planning a more formal function within their league, what would you say? Lead by example. You have to know what your volunteer staff is being asked to do, whether it is laying down a new track, loading software, or emptying the trash after a bout. Manage vendor relationships. You have to manage even established vendor relationships. Give them feedback. Congratulate them. They contribute to both the skater and the fan experience. Treat everyone with respect. People always see what goes wrong in live production (it’s part of the show) and all opinions—critical, congratulatory, or constructive—are valid and worthy of consideration. I try to be diplomatic in all my dealings with people and hope they return that courtesy. Rose City Rollers started with a few passionate people in 2004. 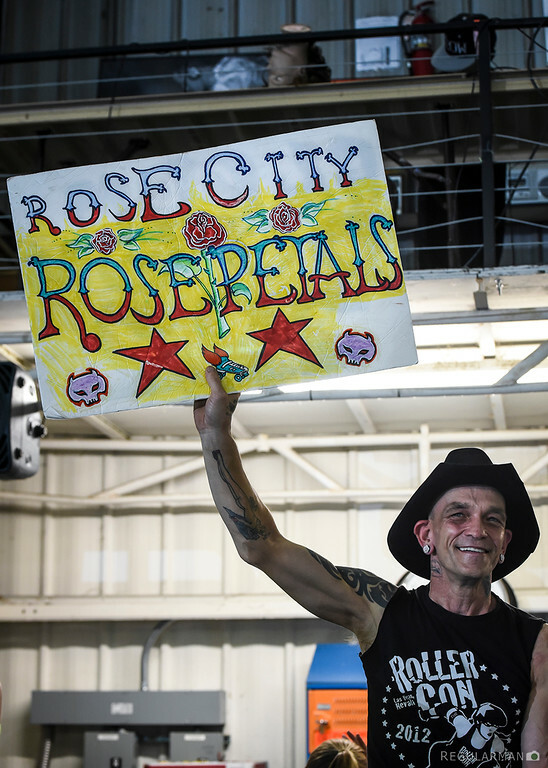 The Rose City Rollers that people see today is a 15-year project. It took us that long to get to where we are today. If anyone from another League wants to fly out and shadow me for a week, I would be happy to let them see what my job entails and how I go about it.  Interested in learning more about Rose City Rollers events production? Shoot us an email at info@rosecityrollers.com!